Music Theatre Company 2016. Image: Sav Schulman, 2016. 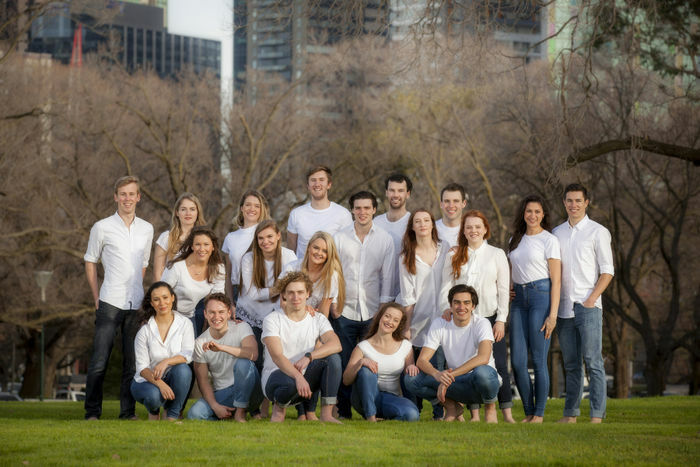 Music Theatre Company 2016 are defined by their passion, their depth of feeling, their curiosity and the sensitivity and commitment that they bring to their work. They have been led through their three years of training by a remarkable group of teaching artists who have shared their talents, instilled their passion and set high expectations for both the skills and dedication required for a sustainable professional career in music theatre. Originally from Colac, Kara performed extensively in her hometown before moving to Melbourne to follow her dream of becoming a performer. Kara began dance classes at four and piano lessons at eight, eventually completing Grade 6 AMEB Piano. 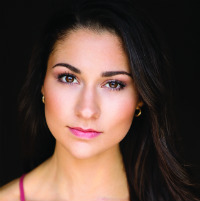 In 2013 she trained in music theatre at Patrick Studios Australia under the direction of Andrew Hallsworth. Whilst at the Victorian College of the Arts (VCA), Kara’s credits include Minnie Davies in ‘The Hatpin’ (dir. Jacinta John), ensemble in ‘42nd Street’ (dir. Gary Young), and as part of the Mongrel/2016 season she played Summer in ‘Flicker’. In the recent season of ‘Spring Awakening’ Kara played Anna (dir. Tom Healey). Earlier this year Kara participated in a masterclass with Carmel Dean and was a featured performer ‘Morning Melodies: Best of Broadway’ (dir. Margot Fenley) at the Arts Centre Melbourne. Originally from the UK, Nicola joined the Victorian College of the Arts (VCA) in 2013 as part of the Music Theatre Foundation Program. Since commencing her studies she has been involved in a number of productions including ‘How to Disappear Completely and Never Be Found’ as Sophie (dir. Alister Smith), ‘The Hatpin’ (dir. Jacinta John) as Ensemble, and ‘42nd Street’ (dir. Gary Young) as Ensemble. Earlier this year, she was a featured vocalist in ‘Morning Melodies: Best of Broadway’ (dir. Margot Fenley) presented by Arts Centre Melbourne. 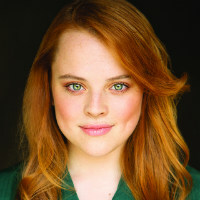 In the recent season of ‘Spring Awakening’ Nicola played Wendla (dir. Tom Healey). Nicola is the proud recipient of the Ron and Margaret Dobell Foundation: Music Theatre Award for 2016 and has been selected in the top 30 for the 2016 Rob Guest Endowment Award. Originally from Beechworth in regional Victoria, Des moved to Melbourne to follow his passion for musical theatre. During his training at the Victorian College of the Arts (VCA) Des has played Edward Cleary in ‘The Hatpin’ (dir. Jacinta John) and as an ensemble member in ‘42nd Street’ (dir. Gary Young). As part of the Mongrel/2016 season, Des helped collaborate and create the short work ‘Flicker’ where he played the Waiter. In the recent season of ‘Spring Awakening’ Des played Herr Rilow, Herr Stiefel, Herr Gabor and Dieter (dir. Tom Healey). 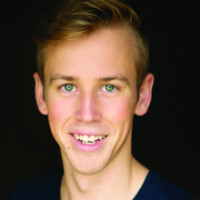 Originally from Hobart, Bram moved to Melbourne to pursue musical theatre. 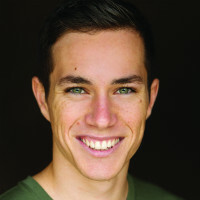 Prior to studying at the Victorian College of the Arts (VCA) Bram took part in the twelve-month Musical Theatre course at Showfit. During his time at the VCA Bram has appeared as James Hanoney in ‘The Hatpin’ (dir. Jacinta John) and in the ensemble for ‘42nd Street’ (dir. Gary Young). This year Bram appeared and co-wrote ‘Perspection’ as a part of the Mongrel/2016 season. In the recent season of ‘Spring Awakening’ Bram played Herr Sonnenstich, Herr Neumann, Doctor von Brausepulver and Rupert (dir. Tom Healey). 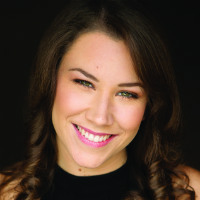 Prior to commencing her studies at the Victorian College of the Arts (VCA), Emma studied full-time dance at APO Arts Academy and appeared as June in ‘The Musical of Musicals: The Musical’ at the Melbourne International Comedy Festival (dirs. Emma Leaver and Scott Dunsdon). In 2015 Emma was selected to represent the VCA at the Musical Theatre Educator’s Alliance conference in Perth, appeared in ‘42nd Street’ (dir. Gary Young) and played Harriet Piper in ‘The Hatpin’ (dir. Jacinta John). In her final year Emma has appeared as Ellie in ‘How to Disappear Completely and Never Be Found’ (dir.Alister Smith), and as Mind Girl in a self-directed piece as part of the Mongrel/2016 season. In the recent season of ‘Spring Awakening’ Emma played Martha (dir. Tom Healey). Newcastle born and bred, Luke has worked and performed in local theatre productions from an early age. 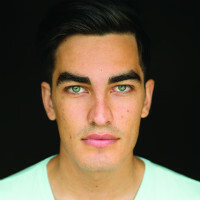 After graduating from the Hunter School of Performing Arts in 2013, Luke moved to Melbourne to continue his training at the Victorian College of the Arts (VCA). At the VCA, he has been ensemble in ‘42nd Street’ (dir. Gary Young) and ‘The Hatpin’ (dir. Jacinta John), and Tube Man/Pawn Man in ‘How to Disappear Completely and Never Be Found’ (dir. Alister Smith). Earlier this year Luke was a co-creator and writer of an original work in the Mongrel/2016 season. In the recent season of ‘Spring Awakening’ Luke played Otto and Reinhold (dir. Tom Healey). 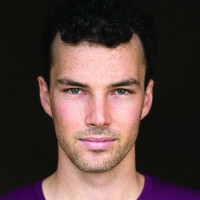 Originally from the Hunter Valley, Andy studied at the Actors’ Centre Australia and completed a Cert IV in Performing Arts at Brent St Studios before starting his Bachelor of Fine Arts (Music Theatre) at the Victorian College of the Arts (VCA). 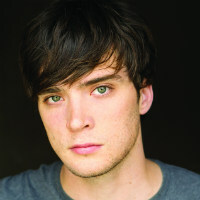 While at the VCA he has played Mike in ‘How to Disappear Completely and Never Be Found’ which he co-produced (dir. Alister Smith) and was an ensemble member in ‘The Hatpin’ (dir. Jacinta John) and ‘42nd Street’ (dir. Gary Young). In the recent season of ‘Spring Awakening’ Andy played Melchior (dir. Tom Healey). He has performed three sell-out seasons of his cabaret ‘OddSocks’, last seen at the 2015 Midsumma Festival. Andy is a grateful recipient of the Lionel Gell Foundation Scholarship 2015. Originally from Brisbane, Alister studied music and piano from a young age. He studied at the Australian Dance Performance Institute in Brisbane for a year before moving to Melbourne to commence training in the Bachelor of Fine Arts (Music Theatre) at the Victorian College of the Arts (VCA). While at the VCA, Alister has been a featured performer in ‘Morning Melodies: Best of Broadway’ (dir.Margot Fenley), has played Constable Joyce in ‘The Hatpin’ (dir.Jacinta John) and was an ensemble member in ‘42nd Street’ (dir. Gary Young). . In the recent season of ‘Spring Awakening’ Alister played Ernst (dir. Tom Healey). Originally from Perth, Josephine trained in various dance styles at the Principal Academy of Dance and completed a Certificate II in Music Theatre at the Western Australian Academy of Performing Arts (WAAPA) before commencing her studies at the Victorian College of the Arts (VCA). Her VCA credits include Girl in the self-devised piece ‘Bright Star’ for the Mongrel/2016 season, ensemble member in ‘The Hatpin’ (dir. Jacinta John) and ‘42nd Street’ (dir. Gary Young). In 2016 Josephine was part of a workshop of new Australian musical ‘High Time’ (dir. Martin Croft). .In the recent season of ‘Spring Awakening’ she played Thea (dir. Tom Healey). Originally from Geelong, Erin trained in artistic gymnastics for nine years, before moving into dancing and music theatre during high school. This lead to performances in amateur musicals including ‘Les Miserables’ (dir. Chris Parker). She completed the Foundation Program (Music Theatre) at the Victorian College of the Arts (VCA), before beginning training in the Bachelor of Fine Arts (Music Theatre). Her credits at the VCA include Clara in ‘The Hatpin’ (dir. Jacinta John) and ensemble member in ‘42nd Street’ (dir. Gary Young). In the recent season of ‘Spring Awakening’ Erin played Fräulein Knuppeldick (dir. Tom Healey). At the Victorian College of the Arts (VCA), Jen has played Rebecca Rigby in ‘The Hatpin’ (dir. Jacinta John); General Cartwright in the workshop project, ‘Guys and Dolls’ (dir. Martin Croft); ensemble in ‘42nd Street’ (dir. Gary Young); and the Gypsy in ‘Flicker’, a self-devised piece for the Mongrel/2016 season. Jen worked as the Assistant Director on both the Australasian premiere and return seasons of the ‘In The Heights’ (dir. James Cutler). In the recent season of ‘Spring Awakening’ Jen played Frau Bergman (dir. Tom Healey). Prior to the VCA, Jen completed a Bachelor of Communication at RMIT and worked as a circus instructor in Indonesia, performing nightly on the flying trapeze and aerial apparatus. In 2012, Jen completed the summer program at ArstEd’s School of Musical Theatre in London, under the tutelage of Dane Preece, Charlie Barker and Kylie Anne Cruikshanks. She also holds an Associate Diploma of Speech and Drama and a Grade 8 Certificate in Performing Arts from Trinity College, London. 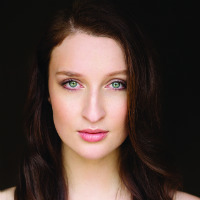 Alessandra completed one year of music theatre training at Showfit under the direction of Mathew Frank, Simon Gleeson and Ian and Leanne White before being accepted into the Bachelor of Fine Arts (Music Theatre) at the Victorian College of the Arts (VCA). At the VCA Alessandra performed the lead role of Amber Murray in ‘The Hatpin’ (dir. Jacinta John) and was an ensemble member in ‘42nd Street’ (dir. Gary Young). In 2016 Alessandra was also involved in the 2016 production of ‘How to Disappear Completely and Never Be Found’ (dir. Alister Smith) as both cast member and co-producer. In the recent season of ‘Spring Awakening’ Alessandra played Frau Bessell (dir. Tom Healey). Originally from Melbourne, Maxwell began singing and performing in high school plays and musicals. In 2010 he trained at Centerstage Performing Arts School and completed the one year music theatre course with Showfit. Before commencing at the Victorian College of the Arts (VCA), Maxwell spent most of his time busking around Melbourne singing and playing guitar. His credits at the VCA include ensemble member in ‘The Hatpin’ (dir. Jacinta John), ensemble member in ‘42nd Street’ (dir. Gary Young), and Charlie/Adam in ‘How to Disappear Completely and Never Be Found’ (dir. Alister Smith). He co-wrote/performed in ‘Fade’, a piece which featured in the Mongrel/2016 season. In the recent season of ‘Spring Awakening’ Maxwell played Moritz (dir. Tom Healey). 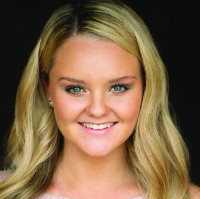 Originally from Perth, Cameron studied Classical Voice and completed a Certificate IV in Musical Theatre at the West Australian Academy of Performing Arts (WAAPA) before commencing a Bachelor of Fine Arts (Music Theatre) at the Victorian College of the Arts (VCA). 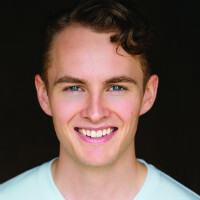 During his time at the VCA, Cameron has performed in the ensemble of ‘42nd Street’ (dir. Gary Young) and as Justice Stephens in ‘The Hatpin’ (dir. Jacinta John). He also played Peter in a new devised work ‘Sixty-Four’ which was part of the Mongrel/2016 season. In the recent season of ‘Spring Awakening’ Cameron played Herr Knochenbruch, Father Kaulbach and Schmidt (dir. Tom Healey). 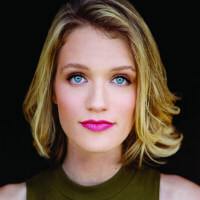 Originally from Wollongong NSW, Emily earned her Diploma of Musical Theatre at Brent Street Studios in Sydney, where she played the role of Soupy Sue in ‘Urinetown’ (dir. Neil Gooding) before moving to Melbourne. Since commencing her training at the Victorian College of the Arts (VCA), Emily has been seen in ‘The Hatpin’ (dir.Jacinta John), ‘42nd Street’ (dir. Gary Young) and ‘How to Disappear Completely and Never Be Found’ (dir. Alister Smith). This year, Emily was chosen to be a featured soloist in ‘Morning Melodies: Best of Broadway’ (dir. 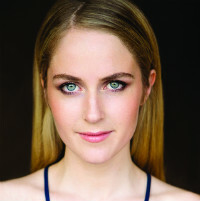 Margot Fenley) presented by Arts Centre Melbourne and was one of six students selected for a Chekov acting master intensive week with Fern Sloan and Ted Pugh from The Actors Ensemble, New York. In the recent season of ‘Spring Awakening’ Emily played Ilse (dir. Tom Healey). 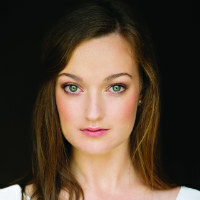 Originally from Tasmania, Petronella studied Classical Voice at the Tasmanian Conservatorium of Music before being accepted into the Foundation program (Music Theatre) at the Victorian College of the Arts (VCA) before progressing to the Bachelor of Fine Arts (Music Theatre) at the VCA, where she has played Agatha Makin in ‘The Hatpin’ (dir. Jacinta John) and Alanah in the self-devised project Sixty Four as part of the Mongrel/2016 season. In the recent season of ‘Spring Awakening’ Petronella played Frau Gabor (dir. Tom Healey). Petronella has an AMusA in pianoforte (AMEB), an Associate Degree in Music Studies (Classical Voice), and has been a selected soloist for masterclasses with Stephen Schwartz, John Bucchino, Sara Macliver and Matthew Robinson. 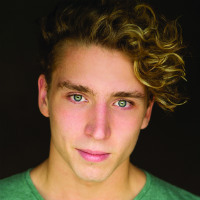 Sam commenced his studies in the Showfit music theatre course, before studying the Foundation Program (Music Theatre) and Bachelor of Fine Arts (Music Theatre) at the Victorian College of the Arts (VCA). During his time at the VCA, he played Oscar in ‘42nd Street’ (dir. Gary Young), Charles Makin in ‘The Hatpin’ (dir. JacintaJohn) and Robert/Priest in ‘How to Disappear Completely and Never Be Found’ (dir. Alister Smith). Earlier this year, Sam played Big Jule/ Sky cover in a workshop production of ‘Guys and Dolls’ (dir. Martin Croft), was a writer/performer of the original work, ‘Perspection’ as part of the Mongrel 2016 season and later this year will play the role of Mr. Big in a workshop of the new Australian musical ‘High Time’ (dir. Bryce Ives). In the recent season of ‘Spring Awakening’ Sam played Georg and Ulbrecht (dir. Tom Healey). He was also selected as a soloist for John Bucchino’s concert ‘Grateful - The Songs of John Bucchino’ and was a featured soloist in ‘Morning Melodies: Best of Broadway’ (dir. 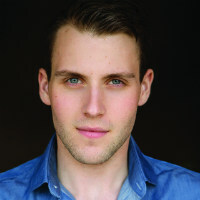 Margot Fenley).He is a grateful recipient of the 2015 Cassidy Bequest for Music Theatre. Hailing from Queanbeyan, NSW, Lachlan has been involved in performing since he was nine. In 2014, he switched from studying Finance in Canberra to Music Theatre at the Victorian College of the Arts (VCA). At the VCA he has enjoyed playing numerous roles including Thomas Williamson in ‘The Hatpin’ (dir. Jacinta John) and Eric/Landlord in ‘How to Disappear Completely and Never Be Found’ (dir. Alister Smith). This year he created and performed in ‘Flicker’ as the Cleaner as part of the Mongrel/2016 season. In the recent season of ‘Spring Awakening’ Lachlan played Hanschen (dir. Tom Healey). 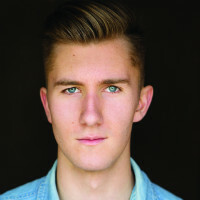 Lachlan was one of six students selected for a Chekov acting master intensive week in 2016 and selected as a soloist for the John Bucchino ‘Grateful’ concert in 2015. For all enquiries about members of Music Theatre Company 2016, please send us an email.